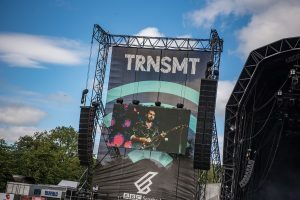 As the temperatures soared to record levels, Adlib’s Glasgow based Scottish operation has enjoyed a busy and proactive summer supplying a full complement of technical services – lighting, sound and video – to a number of high profile events including the Glasgow and Edinburgh Summer Sessions, Rewind Festival’s Scottish date at Scone Palace plus sound and lighting to the 2018 TRNSMT festival on Glasgow Green. This reflects a healthy schedule of locally based business for the company who opened their Scottish operation in 2016. Adlib has worked carefully and conscientiously to expand this offering technical services and equipment that are new to the region, in the process collaborating with a network of partners, promoters and other Scottish companies. Two completely different sound and lighting systems were supplied for these shows. The inaugural Edinburgh event was staged in Princes Street Gardens and welcomed 6000 people, while the already established Glasgow site in Bellahouston Park accommodated 35,000 music fans. 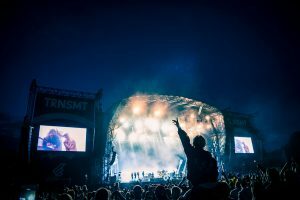 Following the delivery of a highly successful TRNSMT 17, Adlib was approached by promoter DF Concerts to offer a full-service package for the 2018 Summer Sessions. Chris Neary was the account handler and project manager for Adlib on the two events that ran concurrently … as Edinburgh finished on the Sunday, Glasgow started on the Monday. 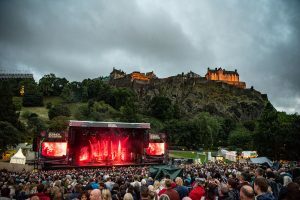 Edinburgh’s six diverse shows were headlined by Tom Jones, Rag’n’Bone Man, Bastille, Paloma Faith and Kasabian, while Glasgow‘s featured Kings of Leon, Catfish and the Bottleman and Kendrick Lamar. It’s always exciting being involved in a new event, and ‘top’ lighting for Edinburgh was provided by a house production rig installed on a series of trusses sub-hung from the stage roof structure and used by all artists. 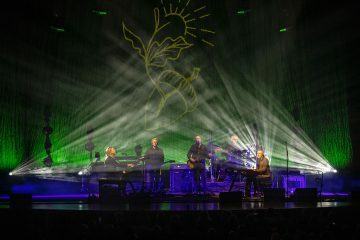 Sixty moving lights were utilised – a mix of Martin MAC Viper Profiles, Viper Washes and Auras. A floor package was also supplied, with Mac Auras and Chauvet STRIKE4 LED blinders mounted on six scaff poles on heavy duty bases. MAC Aura’s resided top and bottom with a STRIKE4 in the middle. Both grandMA2 and Avolites Tiger Touch IIs consoles were offered for lighting control, and some artists brought their own touring consoles. The video comprised of two IMAG screens which were made up from Adlib’s new Unilumin UpadIII H5 5mm indoor / outdoor LED screen, each measuring 5 metres wide by 3 meters deep. Tom Jones’ production brought in their own onstage LED wall for which Adlib provided trussing and rigging. A camera package was integral to the video set up, comprising one Sony HXC-100 operated unit at FOH with another locked off in the same position for wide shots, plus two Panasonic Robocams onstage. A Barco S3 was used for screen management. The audio was an L-Acoustics K2 system, selected to deliver crisp and clear sound and to suit the weight loadings of the stage. The main hangs were rigged directly onto the stage structure with the side arrays flown on two ‘goal posts’. The ‘house’ FOH and monitor consoles were both Midas Pro-X, and all the headliners brought their own FOH consoles and the majority did the same for monitors. Adlib supplied Sennheiser IEMs and a full monitor system. 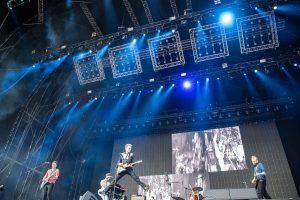 The Glasgow Sessions have been entertaining large crowds and offering an excellent line-up of leading international stars on this Bellahouston Park site since 2013. The stage was the same as for TRNSMT, so Adlib was already familiar with the workspace. Lighting needed a different approach as all the three headliners had their own distinctive requirements. So, using a base rig of 90 moving lights plus strobes and blinders as the ‘house’ system, this was de-rigged and re-rigged differently each night, and the headliners also brought in their own substantial specials packages, with all of them using grandMA for lighting control. A ‘house’ video system offered the same IMAG screens as Edinburgh Sessions and for Catfish and the Bottlemen and Kendrick Lamar. Adlib supplied an upstage video wall built from Adlib’s Unilumin H5 product built in 6 metre and 10-metre-wide variants for the Bottlemen and Kendrick Lamar respectively. The camera system was also the same as for the Edinburgh Sessions, with another two operated cameras added for Kendrick Lamar, complete with a Barco S3 for screen management, driven from a Panasonic switcher. 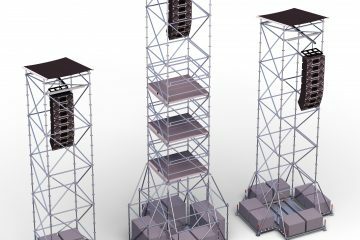 L-Acoustics K1 provided the audio main and side hangs, with 12 elements a side all driven by LA amps, and this was specified as a powerful and high-quality option to get the best coverage across the entire audience area. For the larger audiences an additional K2 system was brought in for delays. All the headliners again brought their own FOH consoles and there was a selection of support consoles too, so FOH was a hectic environment especially during changeovers! 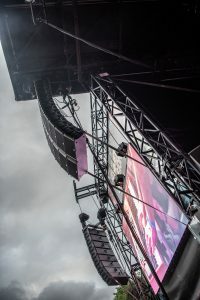 Adlib’s own popular MP4 wedges were provided for monitors, together with Sennheiser IEMs for some artists, however again many brought in their own complete monitor set-ups which meant a busy time for the onstage audio techs requiring efficient and good co-ordination. Up to 19 Adlib crew worked on the site at different periods with five lighting techs, six on audio and between five and eight engaged by the video department. On this occasion there were no actual back-to-back shows, so the crew had the relative luxury of a day for changeovers rather than gruelling overnight slogs, which made planning and coordination that much easier. The challenge was in accommodating all the extras smoothly, a process which started in February and involved plenty of advanced planning and communication. It was the 19th anniversary of this festival tour showcasing iconic bands and solo artists who hit the big time during the 1980s. Adlib provided a full compliment of technical services and crew for what is heralded as the ‘Greatest 80’s Festival in the World’. The Scottish dates at Scone Palace in Perthshire were a huge success, and the other locations were Capesthorne Hall in Cheshire and Riverside at Henley on Thames. 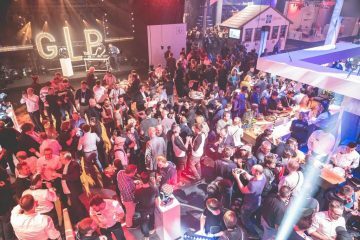 Adlib’s lighting design was created by Alex Murray and Tom Webber, based on a flexible, adaptable and dynamic package that worked for all artists who this year included (in Scotland) OMD, Status Quo, UB40, The Gipsy Kings, Boomtown Rats, Midge Ure, Howards Jones, Bonnie Tyler, Heaven 17 and many more. Adlib was supplied lighting and sound for the second year running for this ever-popular event staged over two consecutive weekends. The rig changed daily in line with the headliner designs, a task that entailed working with six lighting designers to ensure their wishes were met, and for the crew, engaging in a succession of overnight changeovers. The headliners also brought in their own ‘extras’ packages. Three LX trusses were installed in the roof system, and the base rig of over 90 moving lights as made up from MAC Viper Spots and Washes and MAC Quantum Washes. A grandMA2 network was used for control, with most LDs rocking up with their own showfiles, for which Adlib provided their ‘flypack’ WYG suite at FOH, a facility that helped maximize their time and enabled them to continue programming and tweaking their shows even as the previous act was playing. 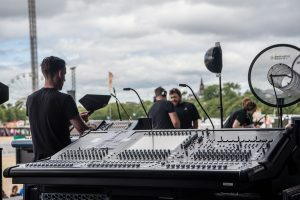 The sound system was the same L-Acoustics K1 as used for the Glasgow Sessions which provided excellent coverage with 12 elements on the main hangs, running with four delays to cover the back part of the audience area across Glasgow Green. Once again, most artist brought in their own complete monitor systems or at least some monitor components, all of which had to be incorporated into Adlib’s stage system. An Adlib crew of 18 saw that everything ran like clockwork on site, ten on lighting – working in shifts for the overnight changeovers – and eight on sound. Chris Neary stated, “Everyone has worked very hard to get the Scottish operation streamlined and equipped, and it’s a great tribute to all that teamwork for us to be able to service these four major outdoor events entirely from our Glasgow base. “The weather was excellent for most of the summer, which we all enjoyed. Another huge benefit of doing lots of festivals … was bumping into many familiar and friendly faces!” he concluded.